Diuretics increase salt and water excretion by the kidneys, thereby decreasing ventricular filling pressure (pre-load). This is the major form of therapy in sodium retention with fluid overload. In selected cases, after-load reduction may be used to increase stroke volume and decrease myocardial oxygen requirements by reducing the systolic ventricular wall tension. Vasodilatation also decreases heart size and the diastolic ventricular wall tension so that coronary blood flow is improved. 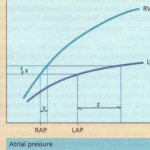 The relative magnitude of the falls in pre-load and after-load depends on the pre-existing haemodynamic disturbance, concurrent volume replacement and the agent selected. Vasodilator therapy is most beneficial in patients with cardiac failure in whom the ventricular function curve is flat and falls in pre-load have only a limited effect on stroke volume. This form of treatment may therefore sometimes be useful in cardiogenic shock and in the management of patients with pulmonary oedema associated with low cardiac output. Vasodilators may also be valuable in shocked patients who remain vasoconstricted and oliguric despite restoration of an adequate blood pressure. Such therapy is potentially dangerous and should be guided by continuous haemodynamic monitoring, including pulmonary artery catheterization or direct measurement of left atrial pressure. The circulating volume must be adequate before treatment is started. Falls in pre-load should be prevented, except in those with cardiac failure, in order to avoid serious reductions in cardiac output and blood pressure. If diastolic pressure is allowed to fall, coronary blood flow may be jeopardized and, particularly if a reflex tachycardia develops in response to the hypotension, myocardial ischaemia may be precipitated. HYDRALAZINE. 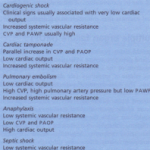 This predominantly affects arterial resistance vessels. It therefore reduces after-load and blood pressure, while cardiac output and heart rate usually increase. Hydralazine is usually given as an intravenous bolus to control acute increases in blood pressure, particularly after cardiac surgery. 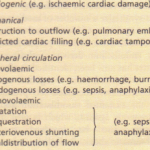 These predominantly dilate arterioles and therefore mainly influence after-load. Phenoxybenzamine is unsuitable for use in the critically ill because of its slow onset (1-2 hours to maximum effect) and prolonged duration of action (2-3 days). 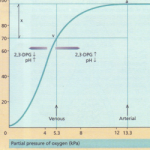 Phentolamine is very potent with a rapid onset and short duration of action (15-20 min). It can be used for short-term control of blood pressure in a hypertensive crisis, but can produce a marked tachycardia. Vasodilators acting directly on the vessel wall These agents are those most commonly used to achieve vasodilatation in the critically ill. SODIUM NITROPRUSSIDE (SNP). This dilates arterioles and venous capacitance vessels, as well as the pulmonary vasculature by donating nitric oxide. SNP therefore reduces the after-load and pre-load of both ventricles and can improve cardiac output and the myocardial oxygen supply-demand ratio. It has been suggested that SNP can exacerbate myocardial ischaemia by producing a ‘steal’ phenomenon in the coronary circulation. The effects of SNP are rapid in onset and spontaneously reversible within a few minutes of discontinuing the infusion. 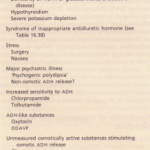 A large overdose of SNP can cause cyanide poisoning, with intracellular hypoxia caused by inhibition of cytochrome oxidase, the terminal enzyme of the respiratory chain. 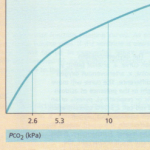 This is manifested as a metabolic acidosis and a fall in the arteriovenous oxygen content difference. NITROGLYCERINE (NTG) AND ISOSORBIDE DINITRATE (I SDN). These are both predominantly venodilators. They can therefore cause marked reductions in pre-load, which may be associated with falls in cardiac output and compensatory vasoconstriction. For the reasons discussed above, they are of most value in those with cardiac failure in whom pre-load reduction may reduce ventricular wall tension and improve coronary perfusion without adversely affecting cardiac performance. Intra-aortic balloon counterpulsation (IABep) is the most widely used technique for mechanical support of the failing myocardium. It is discussed. Attempts have been made to identify agents that would prevent the release, or inhibit the effects, of the various mediators released in shock. For example, non-steroidal anti-inflammatory drugs (NSAIDs) (which inhibit cyclooxygenase) have been used to limit prostaglandin production, naloxone has been used to block the effects of endogenous opioid peptides, PAF antagonists are available and monoclonal antibodies to some of the cytokines or their receptors, as well as endotoxin itself, have been developed and investigated. Recently there has been considerable interest in the ability of NO synthase inhibitors to reverse the vasodilatation associated with some forms of circulatory shock. Other approaches have included administration of prostacyclin and removal of mediators by plasma exchange/haemofiltration. In the future naturally occurring cytokine antagonists or their soluble receptors may prove useful. At present, however, the role of these various adjunctive therapies in clinical practice remains unclear. In animal studies very large doses of steroids have been shown to reduce mortality in septic shock, but clinical trials in humans have shown that steroids are of no benefit and their administration to such patients is no longer recommended.